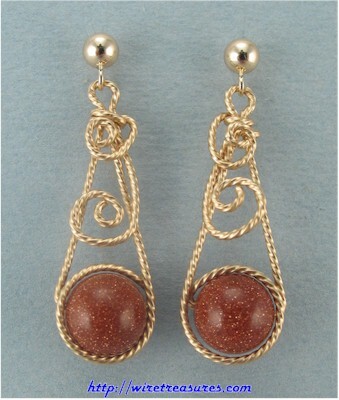 These earrings are crafted from twisted 14K Gold Filled wire, with a single 8mm Goldstone bead. Cute and sparkly! These earrings hang down about 1-3/8". You are visitor number 4,785 to this page.